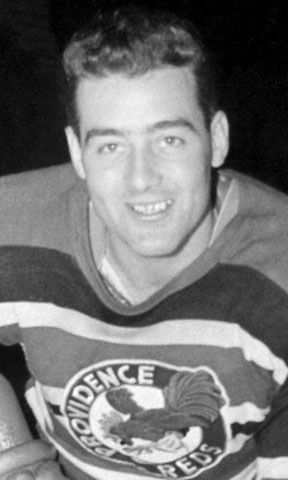 A “Class of 1973” inductee, “Buck” Davies played eight productive seasons with Providence from 1949-1952 and 1953-1958. Over that time, he scored 253 points on 107 goals and 176 assists while racking up 251 PIM in 399 games Davies was a key member of the 1955 Calder Cup Championship with the Reds. This talented center had a stint in the NHL during the Stanley Cup playoffs in 1947.